Your lawn is a money pit that requires ungodly amounts of water and labor to keep it green and trim. We’ve known for sometime that iRobot, the Roomba company, has been on a mission to put your landscaper out of a job with a robot. Thanks to a trademark filing reported by Robotics Trends, there’s a pretty good chance this lawn chewing beast will be called... “Terra”? Ironically named after the Latin word for “earth,” this robot manufactured in China will require wireless beacons to do a job that goats will do autonomously. According to trademark filings, the beacons will be stakes in the ground and will make sure your bot doesn’t wander off your lawn and shred anything in its path. That’s better than several other lawnbots that require a buried boundary wire to stay on your lawn. Those beacons have already pissed off the National Radio Astronomy Observatory, which argued that the Terra’s radio wave frequency could disrupt radio telescopes in New Mexico, West Virginia and Puerto Rico. The FCC sided with iRobot. And really, it’s dubious how much work lawnbots can really save you, unless you have a country manor with grounds straight out of an Austen novel. Lawnbots are nothing new. They’re a simple extension of the mundane labor savings of the Roomba. And they can be a serious investment. The Worx Landroid is on the low end at around $1,000, while the Husqvarna Automower can go as high as $3,500. It’s unclear how much the robotic lawnmower will cost since it hasn’t been formally announced. 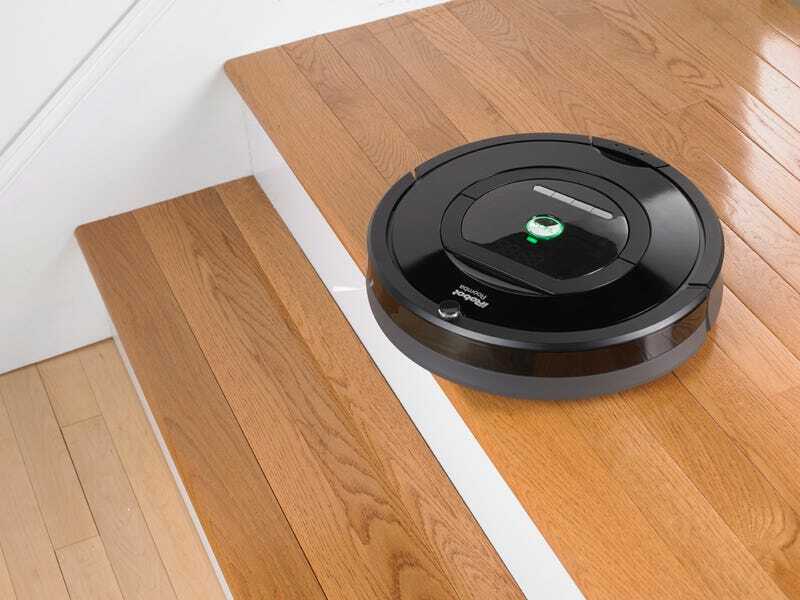 Roombas for vacuuming cost from around $375 to $900. There’s also the issue that robots travel almost randomly, where the usual preference is for a lawn mown in a solid grid-like pattern, something that this generation of robots can’t accomplish. And they can be untidy, so best to clean up with a string trimmer. The “Terra” - it’s a great leap forward in robotic beer pong technology.